The Rev. Fred Luter, President of the Southern Baptist Convention. 2012. Even if you are not of the Baptist faith, chances are you have still heard the news that the Southern Baptist Convention recently made history electing their first African American president. Rev. Fred Luter,Jr., pastor of Franklin Avenue Baptist Church in New Orleans, was unanimously elected to the post by some 7,700 “messengers” at the convention’s June 19, 2012, meeting. While Rev. 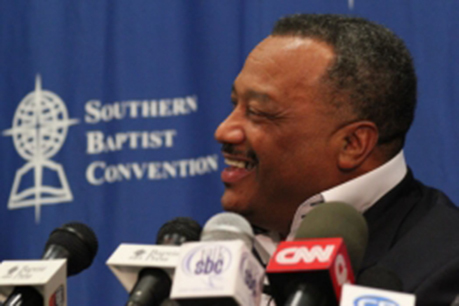 Luter is the face now leading the world’s largest Baptist organization and the largest Protestant body in the United States, on its inception in 1845, the man voted to head the newly formed Southern Baptist Convention hailed from Edgefield, SC. William Bullien Johnson, first president of the SBC, 1845. William Bullien Johnson was the first president of the SBC. Born on Johns Island, SC, Rev. Johnson found his way to Edgefield in 1830 when he moved here to become president of the Edgefield Female Academy and to serve as pastor of Edgefield Baptist Church. Rev. 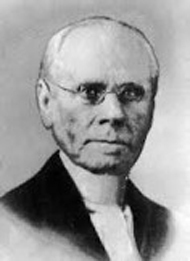 Johnson had previously served as president of the Triennial Convention (formerly known as the General Missionary Convention of the Baptist Denomination in the United States of America for Foreign Mission) in 1841. Rev. Johnson served as president of the SBC until 1851. He later was one of nine men who founded Furman University here in Edgefield. Founded in 1814, the Triennial Convention was the first national Baptist organization in the US and was the body under which both Northern and Southern Baptists cooperated until a split occurred in 1845. Southern Baptists pulled out of this organization and formed the SBC over the issue of church autonomy when Northern states opposed slave owning states being able to send out missionaries to spread the gospel. Local African American minister Rev. Eddie Woods of the Trinity Community Church in Edgefield referred to this diversifying aspect in a recent conversation with the Advertiser editor. His comments to her in essence spoke of his hope, too, that Luter’s election will help to diversify Baptist congregations.